Grassroots Fabric Pots are sewn with care at our manufacturing facility in Northern California. They have high quality fabric and strong seams and thread to prevent ripping and tearing. The fabric pot acts as a breathable container that oxygenates your soil and air prunes your roots. Protect your roots from root rot and get rid of root circling! For large orders and bulk pricing, feel free to contact us directly. 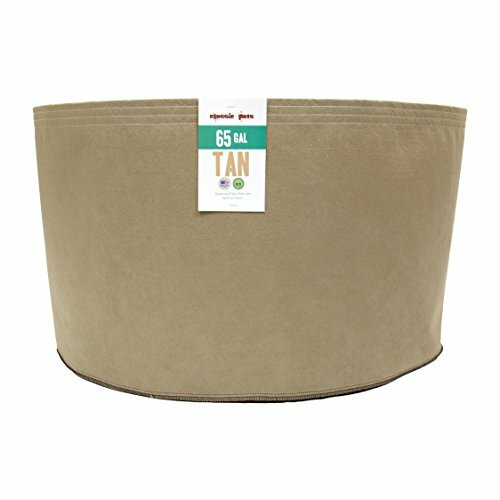 Fabric planter pots are great for outdoor growing or indoor greenhouses. Free shipping on orders over $250. For outside continental US shipping, please contact us directly. If you have any questions about this product by Grassroots Fabric Pots, contact us by completing and submitting the form below. If you are looking for a specif part number, please include it with your message.